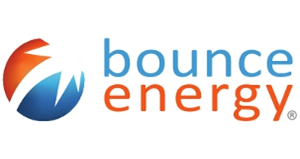 Bounce Energy is a Texas-based retail electricity provider serving residential and small business customers in Texas. Bounce Energy was founded by professionals with a wide range of experience including energy, communications, insurance and other home services. After launching in 2008, Bounce Energy quickly made a name for itself as a leader in e-commerce and product innovation. Bounce Energy’s novel approach resulted in solid growth and accolades like the highest J.D. Power rating for customer experience. Direct Energy acquired Bounce Energy in 2013 with the goal of leveraging Bounce Energy’s e-commerce and social media expertise to improve its own digital sales and online customer experience. For this reason, Bounce Energy has retained its brand and unique approach as it continues to operate within the Direct Energy family of companies. Bounce Energy offers an extensive array of electricity plans for both residential and small business customers. For customers seeking price certainty, Bounce Energy offers fixed price plans that include a number of variations such as smart thermostats, airline miles, heating and cooling maintenance and repair, and green power. Bounce Energy also offers variable rate plans where the customer is not bound by a contract and the rate changes from month-to-month as market prices rise and fall. Bounce Energy is also known for offering incentives tied to om-time bill payment. Rewards vary from gift cards to a free month of electricity to platinum status where you receive a discount on all future bills. Bounce Energy remains a pioneer in digital marketing in the retail electricity market. Because of this focus, they are easy to contact and interact with through a variety of media. Bounce Energy has a traditional customer service call center that is available on weekdays and Saturday. The Bounce Energy website even shows the approximate waiting time so that customers can decide if that is the best avenue to contact them at that time. They also have a searchable FAQ and an online portal for questions or issue escalation. Bounce Energy maintains an active presence on social media sites including Facebook, Pinterest, YouTube, and Twitter where they provide customers useful information on energy conservations as well as new rate plans and incentives. Currently there are no reviews for Bounce Energy. Why don't you be the first and let everyone know what you think about Bounce Energy.